While it has always been possible for Blackberry users to access the popular social networking site, Facebook, for the first time, users will have an integrated application that makes Facebook use much easier. The two companies, which have been working in secret for the past six months, announced Wednesday that Blackberry smartphones and Facebook are now completely integrated. 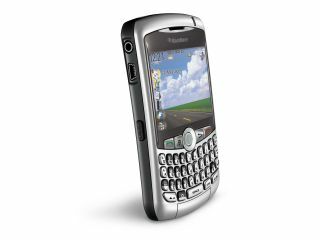 In fact, the Facebook application will come preloaded onto all T-Mobile Blackberry smartphones. "By integrating Blackberry's push technology with Facebook's networking technology provides a real time social networking experience away from the desktop," RIM founder, Mike Lazaridis said. According to Lazaridis, users can take pictures and without emailing them, can go directly to the Facebook mobile page, add captions, and even tag the images. Once complete, the user can upload the photos to the Facebook page with the click of a single button. Interestingly enough, both companies have also allowed Friends using the same integrated Blackberry/Facebook application to be notified immediately that a new picture has been added. Both companies announced that these alerts can be customized with unique sounds that can be assigned to different people. Lastly, the application is integrated into the Blackberry address book so that users can invite contacts to become Facebook friends. "It's really exciting to see the business community using this communications platform," Facebook co-founder, Dustin Moskovitz said. "Opening the application to more users and developers is really the cornerstone of our growth."